Join Our Club, It’s FREE! Flagship Cruises & Events offers plenty of fun excursions on the San Diego Bay! Whether you’re looking for a scenic brunch, a romantic evening, or whale watching, we have the cruise for you. For a relaxing Sunday morning, hop aboard a Flagship Cruises luxury yacht to have the ultimate San Diego brunch cruise experience. Their two-hour Champagne Brunch Cruise on the Bay will take you around the beautiful Downtown San Diego bay. You’ll enjoy a gourmet buffet, complimentary champagne, mimosas and live music all while soaking in gorgeous views of the harbor. Text: FLAGSHIPSD to 31996 and get 15% off ANY cruise! Or, enjoy a two and a half hour cruise along the San Diego Harbor with breathtaking nighttime views of the city’s skyline. Flagship’s Dinner Dance Cruise departs nightly at 6:30 pm and is an ideal way to spend an evening with your family, close friends, or a loved one. As you board their impressive cruise ship, you will be greeted with a glass of champagne, followed by a gourmet three-course dinner. Afterwards, wander up to the deck and take in the views, or dance the night away with their fabulous live DJ! 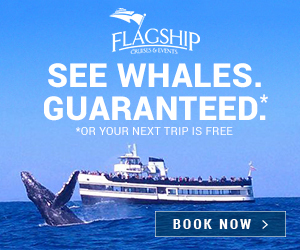 Flagship Cruises also offers daily Whale Watching Expeditions and Harbor Tours. Cruise in and around San Diego Bay and learn about marine life with the Pacific Ocean to one side and San Diego’s skyline to the other. December through May is whale watching season, so chances are you’ll see a gray whale or two on its journey south. Looking for a little more excitement? Get ready for speed, screams and splashes on the Patriot Jet Boat Thrill Ride! That’s right, you will get wet during this turbo-charged thrill ride across San Diego Bay. 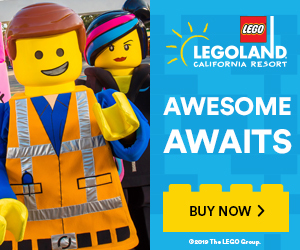 Now offering DAILY fun!